We recently headed to Bristol for the South West Highways Alliance (SWHA) ‘Focus on Highways Funding’ conference. There was a high level of attendance and the event was well planned with lots of opportunities for delegates to network. We took advantage of this and made worthwhile connections whilst staying continuously informed and engaged. The presentations flowed easily from one to another and we were particularly interested in the Innovation in Funding talk that ran for most of the morning. 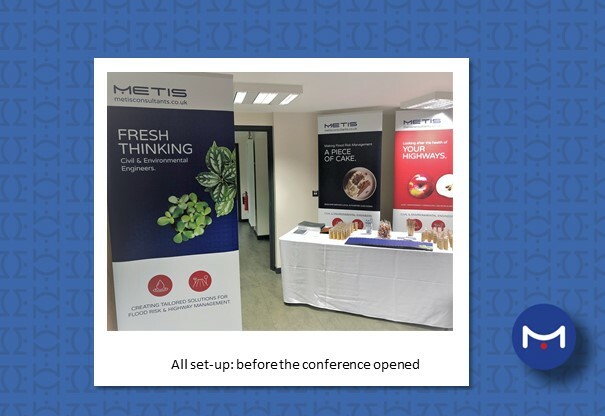 As proud sponsors we were keen to promote our company’s offerings and it was exciting to see new contacts take away case studies, flyers as well as Metis branded products. We work with South Gloucestershire and Swindon in the south west and are looking forward to expanding our client base in the region. This event was a welcome step in that direction and we are certain that we will continue to build upon these relationships in the future.